Continues every Wednesday through April 29 at The Red Room, 85 E 4th Street, East Village. 8pm (April 29 show at 7:30pm). Tickets are $20. More info here. 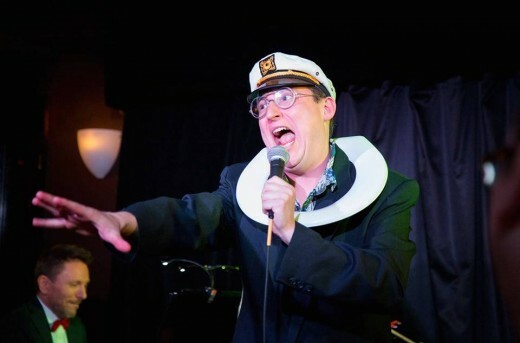 For over a year now, cabaret artist Salty Brine has undertaken what he calls his “Spectacular Living Record Collection,” where he takes a classic or beloved album (anywhere from Weezer to The Beatles) and performs it in full, giving it his own personal touch. This often includes delightful and surprising reinterpretations of songs, larger-than-life costumes, and storytelling interludes. After working in this style for so long, it’s only fitting Brine is taking on Queen’s harmonic behemoth A Night at the Opera, spinning it into a grand evening of theatrics and betrayal fittingly directed by opera director Jordan Fein.